We love to hear what you think! 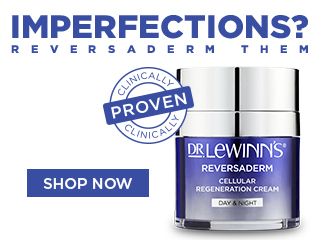 Share your thoughts on the Dr. LeWinn's products you have tried and you’ll not only help others find the best skincare products that suits them but you could also win an amazing prize pack valued at over $100. We have a prize pack for Dr. LeWinn's to give away every month. So start sharing your thoughts now! 5. The promotion consists of monthly giveaways. The promotional period commences on 01/11/2018 at 7.30AM AEDT and will run until 11.59PM AEDT 31/03/2019 (the Promotion Period). During the months of November, December, February and March, the judging will close on the last day of the month and winners will be announced within the first week of the following month. 6. The judging will be conducted at 11/7 Rosebery Place, Balmain NSW 2041. Winners will be notified via email and announced on Facebook and Instagram. Judges' decision is final and no correspondence will be entered into. 7. To enter, participants must submit a product review via https://www.drlewinns.com.au/. To submit a review, search for or choose the product you would like to review. Scroll down to the review section, write your review and submit. You will automatically be entered into the monthly competition. We will sail the winner and post an announcement on Facebook. This competition is a game of skill and entries will be judged by the Promoter based on quality and creative merit. 9. By entering, the entrant or entrants agree Dr. LeWinn's may use entry materials for any promotional purposes. This may include but is not exclusive to placing your entry on Dr. LeWinn's Facebook, Instagram and website. For any content that you submit, you grant McPherson's Consumer Products Pty Ltd a perpetual, irrevocable, royalty-free, transferable right and license to use, copy, modify, delete in its entirety, adapt, publish, translate, create derivative works from and/or sell and/or distribute such content and/or incorporate such content into any form, medium or technology throughout the world without compensation to you. 10. There will be four (4) winners in total – one (1) x winner in the months of November, December, February and March. Winners will receive a prize pack containing one (1) x Ultra R4 Collagen Firming Face Mask 1 pack valued at $ 9.95 AUD RRP each, one (1) x Ultra R4 Collagen 360° Eye Masks 3 pack valued at $9.95 AUD RRP each, one (1) Private Formula Vitamin Infused Micellar Water 400mL valued at $16.95 AUD RRP each, one (1) x Private Formula Vitamin Infused Micellar Cleansing Wipes 25 pack valued at $7.95 AUD RRP each and one (1) x Eternal Youth Rejuvenate & Renew Gift Set valued at $59.95 AUD RRP each OR one (1) x Private Formula Nourish & Renew Gift Set valued at $59.95 AUD RRP each. Total prize pack valued at $104.75 AUD each. 11. The total prize pool value is over $419.00 AUD. The promoter accepts no responsibility for any variation in the prize value. Prizes or any unused portion of a prize are not transferable or exchangeable and cannot be taken as cash. 24. The Promoter is McPherson's Consumer Products Ltd, 105 Vanessa Street Kingsgrove, NSW 2208, ACN 000 020 495.